The Mongols were there for a few years before their war with some others were called boyars. And a couple of other wars happed along the way. That’s all I can remember. For right now. Real, Real, Real, por El-Rei de Portugal! I can´t find a descendant line from the Riurikids to the early Romanovs. Patriarch Filaret's step-mother was a Riurikid if I'm not mistaken, and I read somewhere that his wife might have had Riurikid ancestors, but that it was unprooven. Emperor Peter III Aleksejevitch had for sure Riurikid blood (from the Middle Age I suppose), through the Holstein-Gottorp. But did Emperor Peter I Alexejevitch (the Great) had any Riurikid blood? Can anyone provide a list of his ancestors? I have addressed this question before either on alt.talk.royalty, Russian and Balkans Royal Message Board or on this forum. I will try to find my old post and re-post it here. As to your question, I remember that there was a grandmother on Peter's maternal side who was a Rurikid princess, a Princess Volkonsky to be exact. My memory was correct, that Peter the Great was connected to the Rurikid Dynasty by way of a Princess Volkonsky. 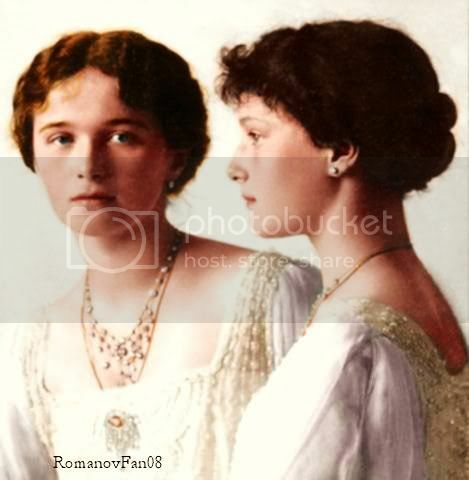 The second wife of the first Romanov Tsar of Russia, Mikhail Fedorovich was a descendent of Rurik. Evdokia Lukianova Streschneva (1608-1645) was the daughter of Lukian Stepanovich Streshnev and Princess Anna Konstantinovna Volkonskaya. The Volkonskys were a branch of the Chernigov Princely Houses (which included the Odoevskys, Gorchakovs, Scherbatovs, Baryatinskys, Obolenskys, Dolgorukys, Mosalskys and others) who descended from 13th centruy ruler Mikhail II Grand Prince of Kiev and Prince of Chernigov. By the way, the first wife of Tsar Mikhail Fedorovich was Princess Maria Vladimirovna Dolgorukova who was also from the Chernigov Rurikids. It was probably vied as a wise thing to marry into this earlier dynasty as the Romanovs were viewed as parvenus by in the Russian nobility. The Rurik family ruled before the Romanovs. Russia wasn't Russia yet, it was a very small mass of land (at least compared to what it is now) called Moscovy. I don't remember the guy's name, but the first ruler founded the Orthodox religion in Constantinople. Ivan the Great (Ivan the Terrible's grandfather) was the first ruler to use the title Tsar or the Russian word for 'Ceasar'. I don't remember the guy's name, but the first ruler founded the Orthodox religion in Constantinople. I think you mean "the guy" Vladimir,the ruler who became an Orthodox? the reason he used that title was because he married sophia paleologue, who was a descendant of the last byzantine kings. the byzantine empire had just fallen, russia (if it was called russia, i believe it was still the muscovy cnezate, i don't know when it was called russia first) was the only somewhat important orthodox country left, and in light of the marriage, i suppose it seemed natural. Yes it was called Russia at the time that Ioann III Sovereign of Russia, Grand Prince of Vladimir, Moscow, Novgorod, Pskov, Tver, Yugorsk, Vyatsk, Perm and Bolgaria married the heiress of the Byzantine Empire, Princess Sophia Paleologue. ivan pretty much doubled the territories he inherited during his 43 years of rule... his son, vasili 3rd, also conquered a lot of land and they were the true founders of russia as we know it today. I can't answer the question of "how was Peter the Great connected genealogically (i.e. by blood) to the Ruriks, but I know several descnedants of the Rurikids married into European royalty. Anna Yaroslavna of Kiev married Henri I of France; this is perhaps the most famous connection between western royalty and the Ruriks. However, the Kurakin family descend directly from the Rurikids too; since the Stroganovs, the Trubetzkoys etc married in and out of royalty and each other there might well be a link between present and past. The Grand Dukes of Lithuania also descend from the Ruriks (intermarriage) and I believe you can trace them via the Jagiellons... Hope this helps. I was just reading about Ivan III - apparently besides Vasili III, he had another son, Andrey of Staritsa, who had a son, Vladimir. Vladimir's and his family were killed by Ivan the Terrible during the Oprichnina, however his daughter survived. Maria Vladimirovna married Magnus of Livonia (son of king Christian III of Denmark) and had two daughters. Does anyone know what happened to them and whether or not they had any descendants? I'm just baffled how after Ivan the Terrible's son Feodor died, there were absolutely no Rurikids left, considering the fact that most Rurikids had quite a lot of children. I understand that there was a tradition of treating a tsar's brothers with suspicion and of not letting them get married in order for them not to threaten the tsar, tradition which encouraged the extinction of the dynasty. However, I just can't help thinking that there must have been some left. The election of tsar Michael seems quite random considering that he was related to a tsar's wife (albeit a very loved wife) and... that was about it, genealogically speaking. The girls died young as you see. Also the male line was always in preference,and the times XVI-XVII were too tumultous for Russia, the country needed a strong male ruler, a powerful boyar as you said.